The show has changed the day the show airs each season. Season one aired on Mondays and season two on Wednesdays. Now the show has slotted into a prime time Saturday slot, which reflects the rise of Rebels as a mainstream children's animated series. "Having established a secret base on Atollon, the Ghost Crew, now led by a more powerful Ezra, strengthens the rebel fleet by acquiring new resources and recruits eager to stand against the Empire. However, the Imperial efforts to eliminate the rebellion are now being led by the coldly analytical Grand Admiral Thrawn, whose strategic, tactical and cultural insights make him a treat unlike any they have faced before. 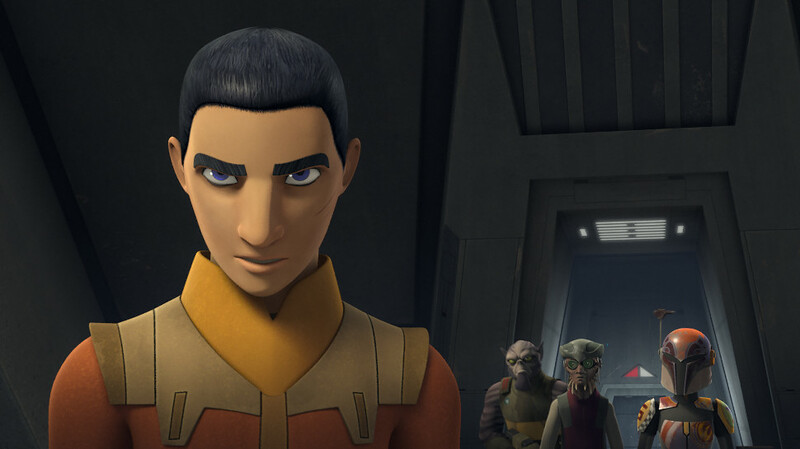 In season three, Ezra and Sabine take on new roles and challenges, as the rebels prepare for their biggest mission yet - a direct assault on the Empire."